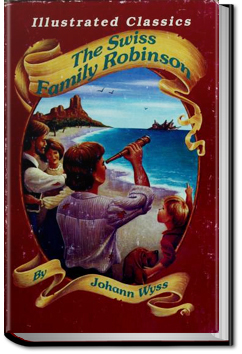 The Swiss Family Robinson has delighted generations of readers with its exciting tale of a family which, though shipwrecked, displays “the right stuff” and builds a charming colony that later, they do not want to leave. Cut off from the comforts and companionship of other humans, they use a familiarity with natural history and biology to find the resources and build the tools to construct a canoe, weave cloth, irrigate a garden, and turn an immense hollow tree into a lofty house with a spiral staircase. They domesticate buffaloes, wild asses, and monkeys. They establish farms and plantations. And finally, they have a terrifying encounter with natives from a nearby island. This entry was posted in Action/Adventure Books on May 20, 2016 by allyoucanbooks.